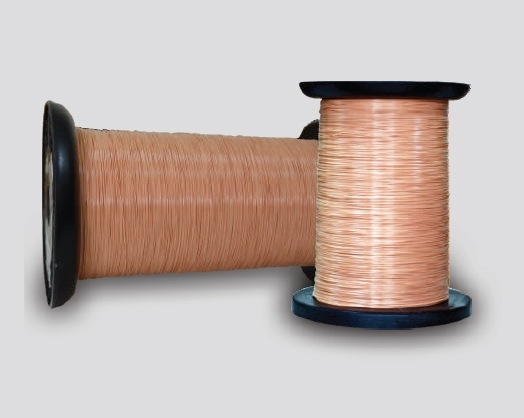 We are the first and only manufacturers of TIW wire in India with UL approval. Downsizing switching transformers without the use of interlayer insulation materials, TIW wire is equipped with a three-fold insulation around the conductor, which has been authorised as Reinforced Insulation. As a result, the creepage distance can never be limited and no insulation barrier (i.e. no paper insulation is required between each layer winding) is needed, when specifying distances between termination pins and coils. We manufacture TIW wire meeting customer requirements. PT-10 & as per customer’s requirement.